Tumblrs Becoming Books, or "What I'm Doing Wrong"
You guys, I need to draw your attention to something. I don't know when book publishers started valuing the short-lived success of Internet memes enough to pour hard-earned cash into publishing a book based on an unknown 20-something's Tumblr blog, but it is HAPPENING. 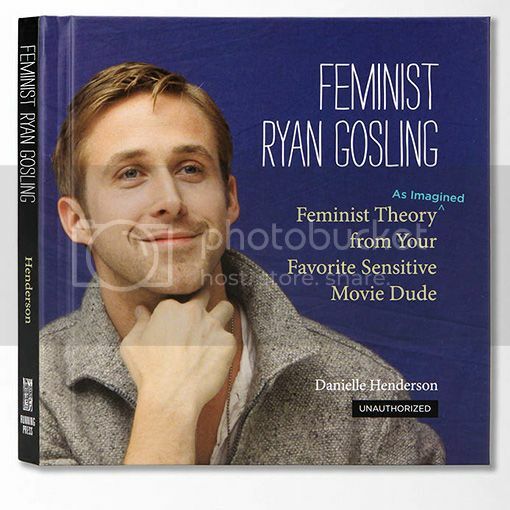 Suri's Burn Book (which I adore) recently became an actual book, and I also just discovered Feminist Ryan Gosling has become a real live printed book. At least Suri's Burn Book requires chapters and sentences and syntax. Feminist Ryan Gosling is literally just "hey girl, [insert a phrase that incorporates a feminist theory and makes women feel good]" on top of a picture of Ryan Gosling. And the powers that be made it into a BOOK. Real talk: HOW do I get on this train? I like Ryan Gosling as much as the next girl. I consider myself somewhat of a pop-culture connoisseur. Why can't my book be the next ironic coffee table book you give to your best friend for Christmas, y'know? I would also like to know how this author is getting around intellectual property rights at this point when she is assumably traipsing around the Internet stealing random photos of Ryan Gosling and writing on top of them. I don't know her personally, but I'm about 99.9 percent certain she's not BFF's with ol' RyGos, taking her own portraits of him on their frequent outings together. How is she accomplishing this? I'm asking. I want to know what she knows. I'm sure the photos in the book were approved and paid for appropriately, but at this level of notoriety, is no one coming after her for the blog? Maybe Ryan Gosling just doesn't care. That'd be so Ryan Gosling of him. For what (preferably laid-back and/or not-Internet-savvy) celebrity can I imagine a personality and develop a wildly successful blog around that turns into wildly successful picture book? It's time to put away those lofty dreams of affecting hearts and minds with the written word. This sounds like more fun. I think I'm going off the rails, here. Who should be my celebrity target for this new endeavor? I'm open to suggestion. *Let it be known that I would consider it a privilege and an honor to even have a book at all, let alone for it to be thrown in a bin in a real live bookstore alongside legitimate authors.